All-in-one demo of a fabric tilt sensor. 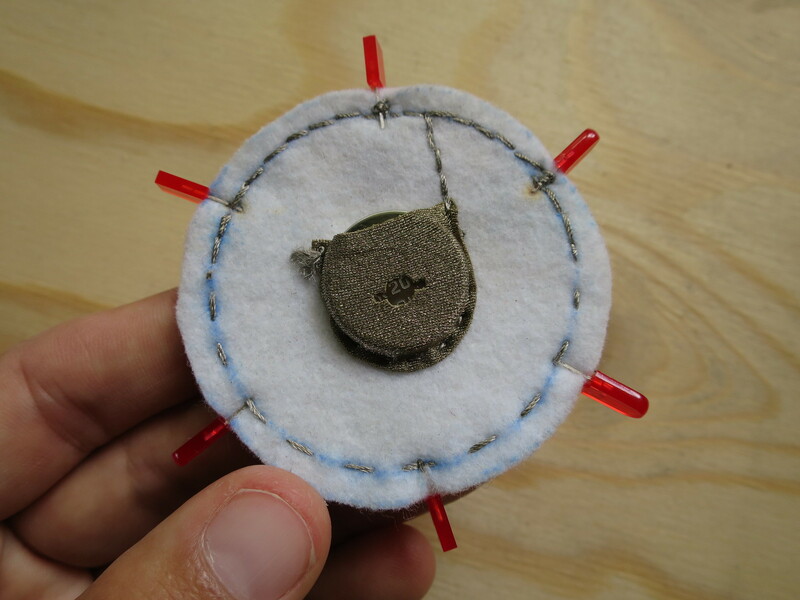 This sensor demo is a simple circuit made up of a 3V coin-cell battery (inside a conductive fabric battery pouch), 6 red LEDs and a 6-way tilt sensitive switch. 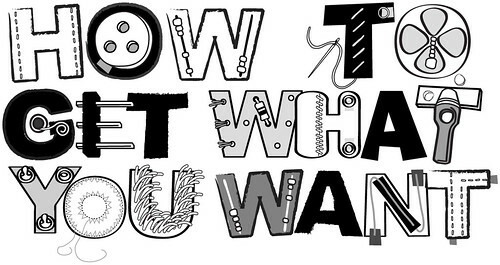 The tilt switch is made up of a common GND (negative power supply from battery) which is connected to a metal bell strung on conductive thread, and 6 petals cut out of conductive fabric. 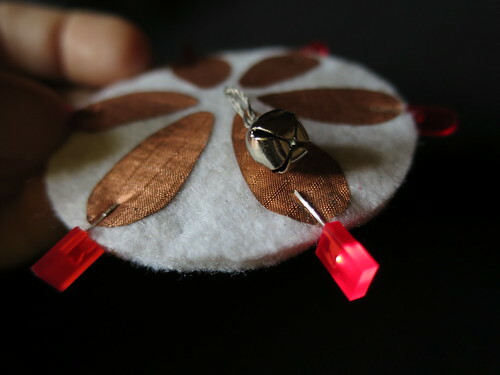 Each petal is connected directly to the negative lead of one of the 6 LEDs and the positive leads of the LEDs are connected with conductive thread directly to the positive side of the battery power supply. 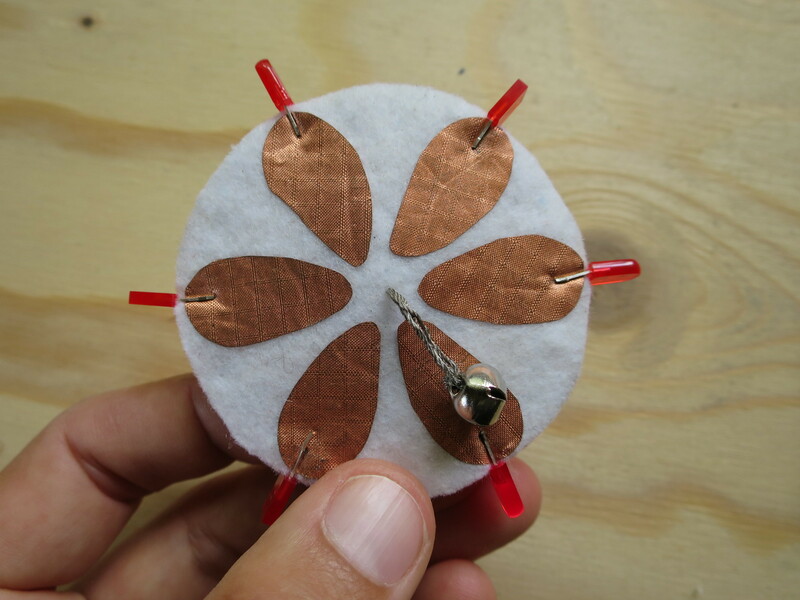 When the bell rests on one of the conductive fabric petals it closes the circuit, bridging the gap between the negative power supply and the negative lead of an LED, causing the LED to light up.